For those of us that didn’t feel like slapping down $500 for Coachella tickets this year, we are in luck. Brokechella returns to Los Angeles for the fourth year in a row. While you won’t see headliners like OutKast or Arcade Fire, you will get to watch some talented musicians along with the other Coachella-y perks like food and art installations. The one-day event kicks off in Downtown LA on April 19. 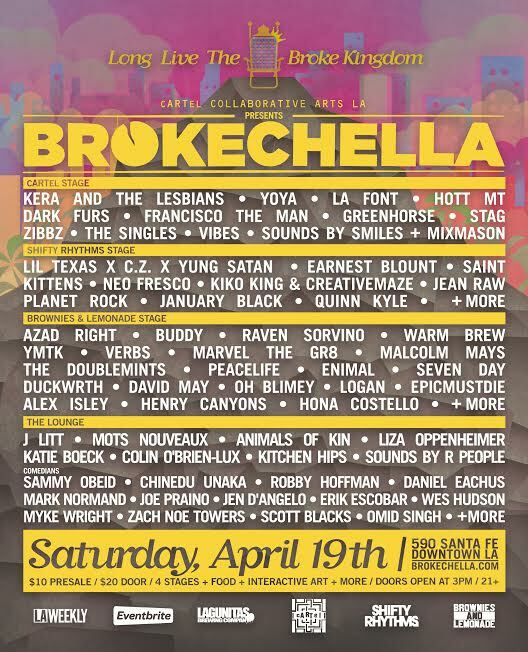 For more information about the bands at Brokechella, visit www.Brokechella.com. We are so excited to announce the March Bloggers Giving Back event! Ready for this?…. This month, we will be putting together care packages for soldiers living overseas who do not receive mail or packages from their friends and family back home. This is a great way to let our soldiers know that we are thinking of them, and that we are so grateful for all the work they do. Join us! We would love to have you! All you have to do is RSVP here. Admission includes wine, pizza, a box, craft supplies to decorate your box, a few small supplies to get your box started (please bring some of your own items as well), and the cost to ship your box overseas. Tickets are limited, so please be sure to RSVP ASAP! Can’t make it? Don’t worry, this event is worldwide! We want everyone to get in on the fun! All you have to do is put your own care package together, at home, or out with friends, and send it out to a soldier on March 29th. Make sure you take a photo of your box and hashtag it #WELLBOXED. We can not wait to see all the boxes! Please visit AnySoldier.com for more information on what to include in your box. Do you live in Arizona? There is an event going on there too! Please contact Kai for all the details. Want to be a sponsor? We would love to partner up with you! As a sponsors you will be promoted at the event and in blog posts written by the hosts and some of our guests. This is a great way to get phenomenal exposure for your business and give back. 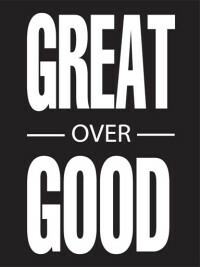 Contact us at info@greatovergood.com for more information. Want more? Head over to The Nectar Collective and see how you can help our pal Melyssa give back. Also, check out this great box Jessica made. Bravo Jess! Bravo!